The sewer drain field, or septic drain field, is located just past your septic tank, away from your property. This is an element of your septic system that helps to distribute liquid back into the soil after the waste has been processed in the septic tank. It is important that you are able to tell some of the signs to look for that there might be problems brewing with your sewer drain field in Mukilteo so that you can have it fixed sooner than later. Standing Water – Your drain field pipes can be vulnerable to root infiltration from nearby shrubs and trees. If the pipes are broken, the material can seep into the drain field and the breakage can prevent the material from being evenly distributed. Standing water could be due to a blockage or clog. Another possible issue could be that the drain field is cannot absorb the right amount of water after an overabundance of rain. Sewage Backup – In some cases, a homeowner may notice that they have wastewater backing up into their home drains or there might be sewage that is seeping into the basement. This is a hazardous situation that needs to be addressed by a septic professional as soon as possible. Toilet Issues – If you notice that you have slower drainage than usual and you have to flush your toilets more than once, it could be a sign of potential problems with the drain field or the septic tank. 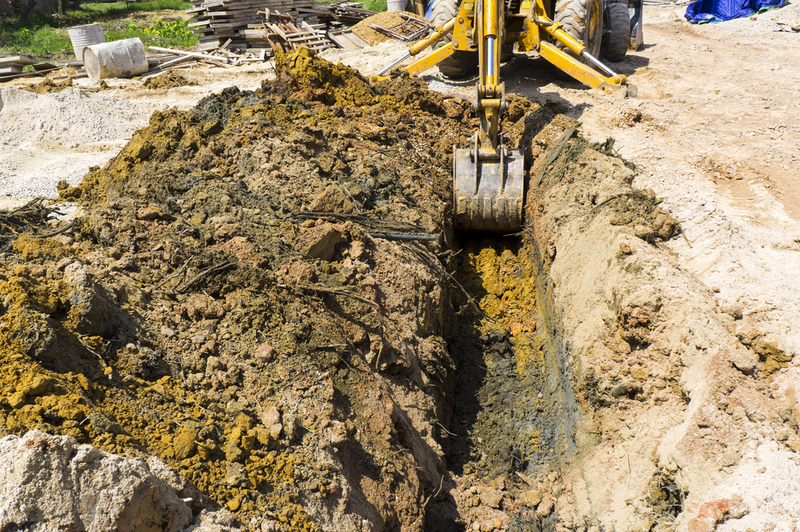 When you have problems with your sewer drain field in Mukilteo, you need to call the pros. You can reach Schleg Valley Construction at (425) 312-6750.